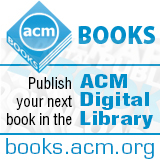 Welcome to the April 17, 2015 edition of ACM TechNews, providing timely information for IT professionals three times a week. In an article in Electronics Magazine on April 19, 1965, Intel co-founder Gordon Moore first articulated the set of observations and predictions that have come to be known as Moore's Law. At its core, Moore's Law predicts that every 18 to 24 months the density of transistors on a given die area will double, significantly increasing computing power. For decades, Moore's Law has helped to guide improvements in computing hardware. Intel's original 4004 processor had 2,300 transistors, while the company's latest contains billions of transistors. However, as technology has advanced, experts say it has become clear Moore's Law will not hold true forever. Moore himself acknowledged as much in a recent interview. Experts say moving forward the sort of gains in computing power and energy efficiency mandated by Moore's Law are likely to come from the use of new materials and methods, rather than etching more transistors onto each chip. Intel and others are exploring new semiconductors such as gallium arsenide and indium gallium arsenide. "Moore's Law is morphing into something that is about new materials," says Efficient Power Conversion CEO Alex Lidow. "For the first time in 60 years, there are valid candidates where it's about superior material rather than smaller feature size." Stony Brook University researchers are developing a prototype tool they believe will be able to send encoded messages using real-time strategy computer games to circumvent online censorship tools in countries such as China. The researchers recently published their stealth tool, dubbed Castle, on GitHub. Castle takes advantage of several traits common to online strategy games, such as StarCraft and Company of Heroes, that make them potentially ideal for steganography applications. The useful features of online strategy games include the ability for players to connect directly with one another and the use of encryption to prevent cheating. Castle users would communicate with the tool by loading a custom map and then using Castle to encode a message in the form of specific actions in the game. The actions would leave behind a string of commands recorded in the game's log, which then can be decoded using Castle. The researchers say that to any online censors this exchange would appear like a normal game. So far, Castle has achieved communications bandwidths of up to 1.5 kilobits a second, enough to send emails or share articles. Located a half mile away from Google's headquarters in Mountain View, CA, is the company's Google X laboratory, which is dedicated to the research and development of groundbreaking technologies. The lab was the birthplace of Google Glass and is where much of the work on the company's self-driving cars is being carried out, along with several other innovative projects. For example, Google researchers are working on Project Wing, a drone-delivery program that could compete with a similar initiative by Amazon. Other research efforts include Project Loon, which aims to spread Internet access to rural areas using balloons, and Makani Power, which uses airborne wind turbines to generate clean energy. Google X also is focused on health applications. For example, Lift Labs seeks to counteract the effects of Parkinson's disease with a spoon that makes it easier for sufferers to eat, while its Baseline Study hopes to use medical and genomic data to define how a healthy human body appears. In addition, Google X is exploring medical applications for nanoparticles, such as detecting disease and producing synthetic skin. Finally, Google X is the home of Google's neural network, which already has learned to identify cat videos and is now being used to advance speech and facial recognition technology. Columbia University researchers have invented a self-powered prototype video camera that can produce an image each second, indefinitely, of a well-lit indoor scene. The camera uses a new kind of pixel that can measure incident light and convert it into electrical power. "Digital imaging is expected to enable many emerging fields, including wearable devices, sensor networks, smart environments, personalized medicine, and the Internet of Things," says Columbia professor Shree K. Nayar. The new pixel is called a photodiode, which produces an electric current when exposed to light. The researchers used off-the-shelf components to create an image sensor with 30x40 photodiodes. In the prototype camera, which is housed in a 3D-printed body, each pixel's photodiode is always operated in the photovoltaic mode. The image sensor continuously toggles between image capture and power-harvesting modes, enabling the pixels first to record and read out the image and then to harvest energy and charge the sensor's power supply. In addition, when the camera is not used to capture images, it can be used to generate power for other devices, such as a phone or a watch. "We believe our results are a significant step forward in developing an entirely new generation of cameras that can function for a very long duration--ideally, forever--without being externally powered," Nayar says. A shortfall in workers with information and communication technology skills could keep Europe from enjoying the economic and social benefits of trends such as big data and cloud computing. The European Commission's Andrus Ansip described Europe's current state of affairs as alarming in a recent speech in Belgium. He said the rapid growth of the technology sector has led to the creation of 120,000 new jobs a year. However, Ansip noted Europe could face a shortfall of more than 800,000 skilled technology workers by 2020. "We still see big differences in skills levels between [European Union] countries, and different implementation of national skill programs designed to minimize Europe's digital divide," he said. Ansip also predicted the market for global big data technology and services should grow from 3 billion euros in 2010 to 16 billion euros in 2015, seven times faster than the overall IT market. "To me, that is the kind of rapid growth that means hundreds of thousands of new jobs across Europe in the coming years," he said. The U.K. government is looking to address the problem by introducing a revamped computing curriculum. Some observers believe reinstating visas for foreign workers with relevant skills would be a better approach over the short term. Researchers at the University of California, Berkeley and the U.S. National Aeronautics and Space Administration (NASA) are developing a robot that is strong enough to be dropped directly onto an alien planet and immediately start working. The new robot consists of six rods and 24 cables, which are linked using a combination of tension and compression to make it exceptionally resilient to impacts. "We've decided that these structures are so strong that they can actually withstand the landing at 30 miles an hour without any additional support," says NASA's Adrian Agogino. The researchers say they used complex algorithms to model how these tensegrity structures work, allowing for the development of this type of robot for the first time. In addition to being strong enough to land on a planet, the researchers think the robot also is strong enough to explore the planet. The robot moves by adjusting the tension in the cables, which changes the shape of the robot, allowing it to roll in a specific direction. Although the research is promising, NASA estimates it is still at least 10 years away from placing the robot on an actual mission. Researchers at Cornell and Stanford universities have developed an algorithm they say can identify antisocial behavior as demonstrated in website comment sections. The researchers developed their troll-finding algorithm by analyzing typical troll behavior with data provided by CNN.com, Breitbart.com, and IGN.com, including studying the comments of more than 10,000 Future Banned Users (FBUs) over an 18-month period. The analysis found troll posts were, on average, less literate than non-trolls, and they tended to get less literate the more they posted to a site. In addition, the researchers found fellow posters were initially patient with trolls, but once the annoyance reached a certain level, banning came quickly. The researchers say it was relatively easy to spot FBUs and to convert what they had found to something a computer could understand, starting with what they called the Automated Readability Index. The final version of the algorithm was able to identify FBUs with an 80-percent accuracy rate after only 10 posts. Cornell University professor Ashutosh Saxena and his team have developed a new deep-learning algorithm that enables a robot to operate a machine it has never seen before, by consulting the online instruction manual and drawing on its experience with other machines that have similar controls. Deep learning works best with a very large database, so the researchers used crowdsourcing to collect a large library of actions, created by a Web interface that enables a user to guide an imaginary robot arm, almost like playing a video game. The database also enables the robot to identify various kinds of controls by their shape rather than location, and to relate them to the different labels that might be used in the instructions. The researchers have trained and tested their robot with 116 different appliances. The robot has a three-dimensional camera, and uses a list of the X, Y, and Z coordinates of every point in an image. After translating the label in the instruction manual, it pinpoints the control in the point cloud and consults the crowdsourced model to plan the pathway the robot arm will follow to manipulate the control. Following testing on various machines, the robot performed with 60-percent accuracy when operating a machine it had never seen before. The United Nations' Convention on Certain Conventional Weapons this week heard from technical and legal experts on the subject of killer robots, or "lethal autonomous weapons systems." The briefings and panel debates may eventually lead to a treaty on such weapons. A key aspect of the discussions is the definition of meaningful human control, or the degree of human involvement needed in the process of killing someone on the battlefield. Delegates also will consider the possible challenges to International Humanitarian Law presented by lethal autonomous weapons. Stanford University's Peter Asaro says there is a growing consensus of the unacceptability for robots to kill people without human supervision. On the first day of the meetings, Asaro said Croatia and Japan made strong statements on this point. In a document outlining its views on the subject ahead of the meeting, Japan noted "Japan's Ministry of Defense has no plan to develop robots with humans out of the loop, which may be capable of committing murder." Even the most optimistic estimates suggest a treaty or formalized ban is at least a year or two away. Researchers at Chalmers University of Technology have discovered large area graphene can preserve electron spin over an extended period and communicate it over greater distances than previously known. Thin films of graphene are not only an excellent electrical conductor, but also are theoretically able to maintain the electrons with the spin intact. The Chalmers researchers conducted their experiments using CVD graphene, which is produced through chemical vapor deposition. The method gives the graphene wrinkles, roughness, and other defects. However, CVD graphene also can be easily removed from the copper foil on which it grows and lifted onto a silicon wafer, which is the semiconductor industry's standard material. Although the quality of the material is far from perfect, the researchers can now show parameters of spin that are up to six-fold higher than those previously reported for CVD graphene on a similar substrate. The researchers hope to eventually develop a new way of performing logical operations and storing information, but their short-term goal is to construct a logical component comprising graphene and magnetic materials. "In spintronics, there is no need for band gaps to switch between on and off, one and zero", says Chalmers' Saroj Dash. "This is controlled instead by the electron's up or down spin orientations." U.S. National Institute of Standards and Technology (NIST) researchers have discovered the size of a quantum computer has a power law relationship with the speed at which information can be distributed through it, meaning the "speed limit" for quantum information transfer is far slower than previously hypothesized. Although the new findings do not provide an exact speed for how fast information will be able to travel in quantum computers, it does place a much tighter constraint on where the speed limit could be. In 2005, researchers significantly increased the potential speed limit for quantum computers because of advances in technology. "Those results implied a quantum computer might be able to operate really fast, much faster than anyone had thought possible," says NIST researcher Michael Foss-Feig. However, over the last decade more sophisticated experiments were unable to reach the speeds the 2005 prediction suggested. Now, NIST researchers have developed a new mathematical proof that reveals a much tighter limit on how fast quantum information can be distributed through a system. "The tighter a constraint we have, the better, because it means we'll have more realistic expectations of what quantum computers can do," Foss-Feig says. University of Arizona (UA) researchers recently conducted a study suggesting that although Twitter users who post information about their personal health online might be considered by some to be "over-sharers," health-related tweets may have the potential to be helpful for hospitals. The researchers examined the chronic condition of asthma and how asthma-related tweets, analyzed alongside other data, can help predict asthma-related emergency room visits. They created a model to successfully predict approximately how many asthma sufferers would visit the emergency room at a large hospital in Dallas on a given day, based on an analysis of data taken from electronic medical records, air quality sensors, and Twitter. The researchers collected millions of tweets from around the world and used text-mining techniques to focus on relevant tweets in the ZIP codes where most of the hospital's patients live, according to the electronic medical records. The researchers used machine-learning algorithms to analyze tweets and air quality data together, and were able to predict with 75-percent accuracy whether the emergency room could expect a low, medium, or high number of asthma-related visits on a given day. UA professor Sudha Ram says the research highlights the important role big data, including streams from social media and environmental sensors, could play in addressing health challenges. In an interview, members of the team behind the CHAIN-REDS project discuss their effort to define a path toward a global e-infrastructure ecosystem for researchers. The ecosystem would enable Virtual Research Communities, research groups, and individual researchers to access and efficiently use worldwide distributed resources covering computing, storage, data, services, tools, and applications. Since launching in 2012, CHAIN-REDS has directly facilitated the signing of memoranda of understanding to define a framework for collaboration between the European Grid Infrastructure and Regional Operation Centers in Africa, Arabia, China, India, and Latin America. CHAIN-REDS conducted use cases, including one that involved the African Population and Health Research Center in Nairobi, Kenya, and has had a big impact on the center's discoverability. The team has promoted the creation of European Union-area-specific Science Gateways (SG) and has built up a knowledge base available on the project website. For example, CERIST's Ouafa Bentaleb details her network's use of the SG infrastructure, noting a calculation code called ABINIT has been integrated into the Algerian SG to help physicists from about six universities in their calculations related to the structural, electronic, and optical properties of materials. The project concludes in a few months, but the next steps are to promote its results, solutions, and tools, and advocate for enhancing global cooperation.